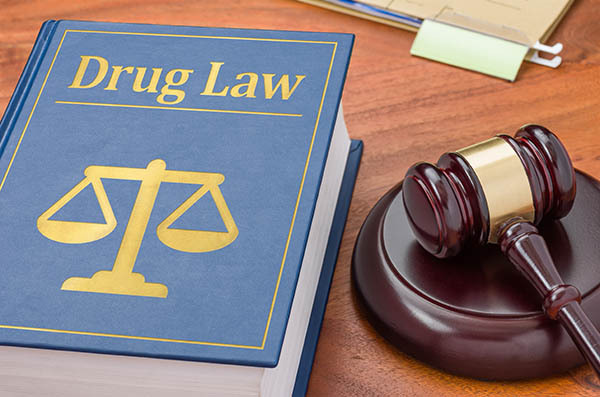 Chose from the topics below, or contact me now for a free consultation, to read about some of the common defenses employed in cases charging individuals with drug offenses. Most drug offenses begin with an underlying charge of possession of a controlled substance. Then, additional elements and penalties are added on, but in order to impose those additional penalties, the underlying charge of possession must be proven first. There are some strategies that are common in drug possession cases which, if successful, can preclude a conviction on the underlying offense, and therefore preclude a conviction on any of the additional elements or imposition of the penalties. Search and Seizure: How Did the Police Find the Drugs? First, there is the question of how the police came to uncover the drugs. The most common way is during a search of the car in which the defendant was riding. Other common ways are during a search of his or her person, after an arrest for an unrelated offense, or in a home after a search with a warrant. No matter what the circumstances are, it is nearly impossible for the police to uncover the drugs without implicating constitutional protections against unreasonable searches and seizures. If the police did not comply with those rules, the evidence cannot be used in court. Whether the evidence is admissible is something that can be determined after a hearing before the case even goes to trial. Who Really Possessed the Drugs? Next, the Commonwealth has to show that it was actually the defendant who knowingly possessed the drugs. That is a simple matter in cases where the drugs are recovered from someone's person, but in many cases that is not so. In many cases the drugs are found in a car or in a house. In those cases, the Commonwealth has to rely on speculation and inferences to show who had 'dominion and control' of the drugs. The Commonwealth can get pretty creative in its attempts to show who was responsible for the drugs, using paperwork in proximity and the like, but getting past reasonable doubt is a difficult job. Can the Commonwealth Prove What the Police Found is a Controlled Substance? Finally, the Commonwealth has to prove that the material it uncovered are actually the drugs it claims they are. Although this is something most people take for granted, it has recently become a difficult task for the Commonwealth. A bag with white powder might be baking soda passed off as drugs by someone trying to make a quick buck. Pills in a bag might not be what the police think they are. Unfortunately, some drug dealers used powder spiked with poison to get back at their enemies. In short, there are real reasons to be unsure that the items the police believe to be drugs really are. In order to prove what the substance is, Commonwealth has to perform scientific tests, and put on expert testimony, which becomes logistically difficult, and another way that the Commonwealth can fail to prove its case. These are some of the common defenses in drug cases, but by no means an an exhaustive list. If you or someone you know is charged with a drug crime, contact me to set up a free consultation and to find out how these and other possible defenses might work to prevent the Commonwealth from proving its case.